Campaigns and projects I am involved in, or that got me thinking…. Publicis bold statement about shifting resources into AI rather than continuing to showcase its work on the Croisette, seems to be creating more buzz than the 2017 Cannes Lions winners. The industry is concerned about what it means for International Festival of Creativity, It also reveals a lot about the value of agencies in a world where AI/ AR/ VR are transforming their role, purpose and creative process. I say AI/ AR/ VR because one of my observations from attending the Cannes Lions this year is that these 3 disciplines are often grouped together and take up most of the innovation stage. My focus for this post is going to be on VR: How was VR represented at the 2017 International Festival of Creativity ? Congrats to the creators and brands who won some VR Lions. Today’s post is about the impact of social media on ad planning. Nothing to do with the main industry news of the day: the recent and surprising Publicis-Omincom merger. The social media powered world evolves around breaking news, live events, influencers and their clout. For advertisers, it means capturing moments as they happen and turning them into “social currency” for their brands. How? By introducing the concept of agile marketing. The perfect example of agile marketing is the Oreo daily twist campaign. Every day for 100 days, the brand hijacked pop culture events and turned them into Oreo sharable content broadcasted via their social media channels. Oreo called it an “ambitious exercise of real time culture jacking”. 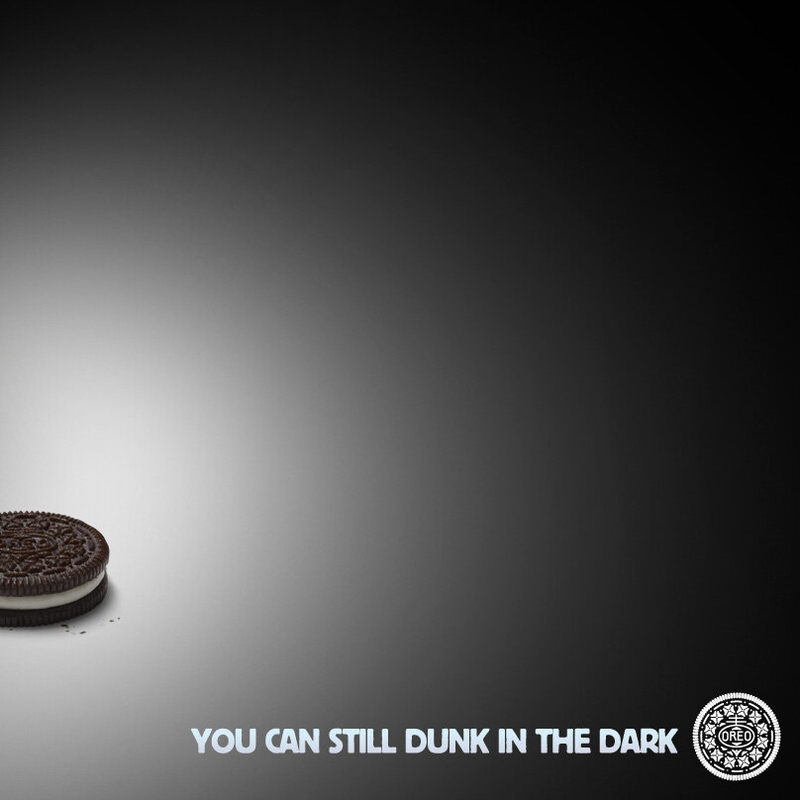 The effect: Oreo was the real winner of the Super Bowl with their “You can still dunk in the dark”. Did Oreo spend millions of $ to buy a TV spot during the Super Bowl? No… did Oreo reach millions of eyeballs during the game? Yes! Do people remember & talk about their message? Hell yes! 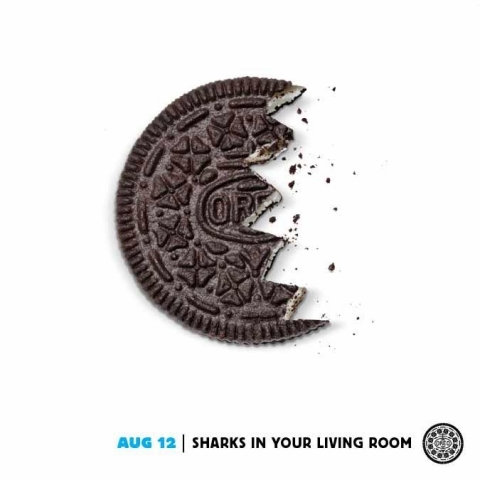 The smarts in this activation is that it keeps on giving way past the 100 days of the campaign… Proof is the “sharks in your living room” referencing the recent Sharknando phenomenon. So, how did they do it and why is it such an important case study? They did it by getting their agencies and brand staff to collaborate as a virtual newsroom! By doing so, they transformed their brand planning cycle to “agile marketing”. And it worked! With the rise of social media platforms it becomes more and more important for the trio (agency<>client<>media-owner) to adapt, react and even create live opportunities to communicate. Is it content or is it advertising? So, is it content or is it advertising? Do we care? PWC predicts that online video is, along with mobile, is to be the fastest growing media category with a +39% from 2013 to 2016 (will represent $280 mill). I can’t say it is easy to do, but these advertisers have the keys to ignore all the rules enforced by broadcasters and industry bodies around duration and standards, the price tag of premium video ad supply! OK, this is my first serious attempt at video journalism… while the format is very amateur, I hope you will enjoy the content and the social marketing tips shared by Mark Capps, co founder and CEO of Sneaking Duck. But first, who is Mark? What is Sneaking Duck? Mark is an ex-Googler who has always had wide opened eyes to the scale of possibility offered by the Internet and a passion for online retail. When Mark recently discovered his need for glasses, he quickly realized that glasses don’t have to be “only” functional. They are accessories and should be purchased the way we purchase accessories: according to our mood and our style! So, along with his friends at Shoes of Prey, Mark just launched Sneaking Duck, an innovative online optical fashion retailer.